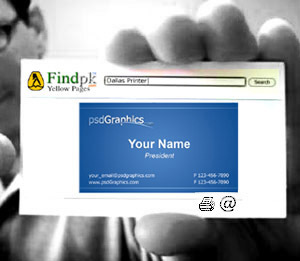 Why spend thousands of rupees monthly on your business cards printing, while all your potential clients may not have it, or may not search quickly from their business card collection. Everyone from Internet may find your contact information online by searching Name, Profession or even Reverse Search by your Telephone Numbers. 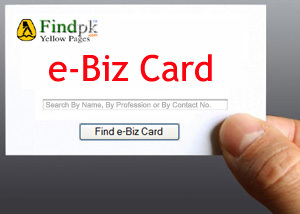 You can always update your Company & Contact Information as well e-Biz Card Look & Design. Use as your e-mail signature, Just add a small link at your signatures.